See What's On at WHoa! This Easter! For prices, times and dates click Book Now. STEP RIGHT UP AND JOIN THE FUN IN TONY THE SHOW PONY’S DOODLE DARE! A fun interactive game show where YOU can be a contestant! Filled with fun games, wacky trivia, and team based competition, Doodle Dare brings all the fun of 90’s kids game shows home to Whoa Studios. 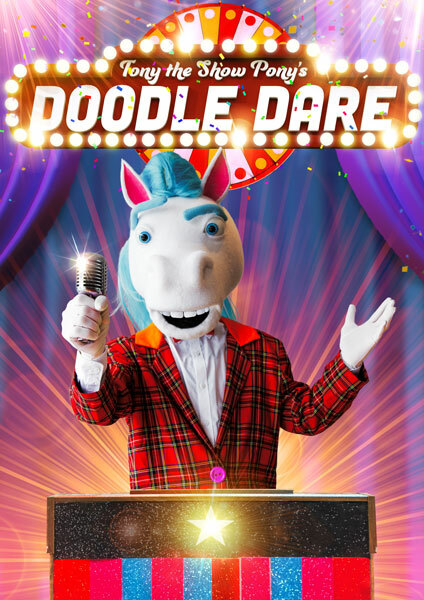 Hosted by the debonair Tony the Show Pony, Doodle Dare splits the audience into 3 teams where contestants are selected from the audience to play games and answer questions to score points and win prizes! Whether you are a contestant or not, cheer on your team and see who truly Doodle Dares to become champion! 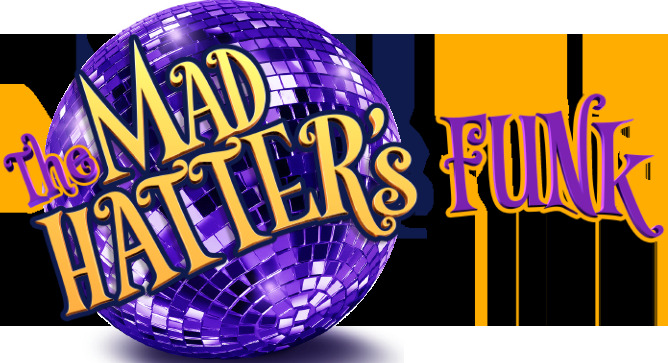 Free Admission with Park or Mad Hatter's Funk Show passes! Seats are limited so arrive early to avoid disappointment. 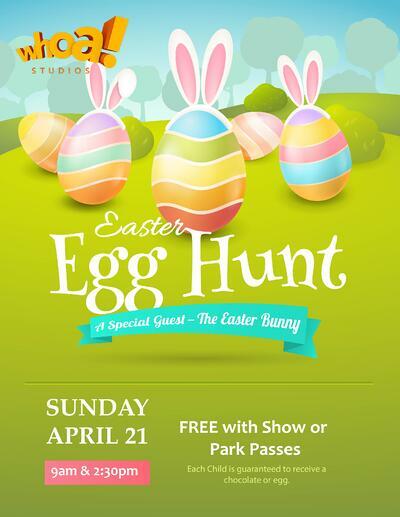 Make this Easter Sunday a full day of fun at Whoa! Last year everyone had so much fun with an Easter Egg hunt in the park - we had to do it all again! The Easter Bunny is up to his old tricks! He's sneaked surprises all over the playground for kids to find! Children between the ages of 3- 10 years may participate. 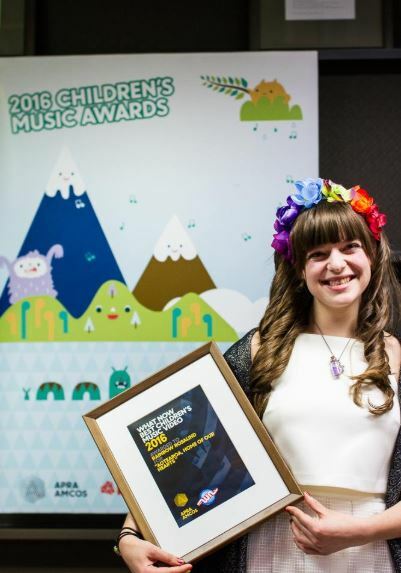 Join New Zealand's award-winning children's singer/songwriter Rainbow Rosalind the Fairy, with her friends Fairy Blueberry & Pixel the Pixie all the way from Dunedin, for a fun-filled kids show jam packed with singing, dancing, and imagination! This fully interactive and immersive show is sure to get the whole family up and boogieing, so bring all your friends and come on a magical journey over the rainbow with Rainbow Rosalind and the Fairies! A show not to be missed! 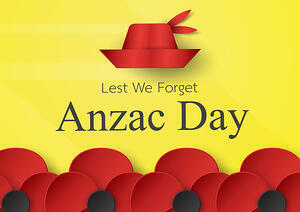 Come on by and spend some time playing in the park this school holiday's! You never know who might pop up! 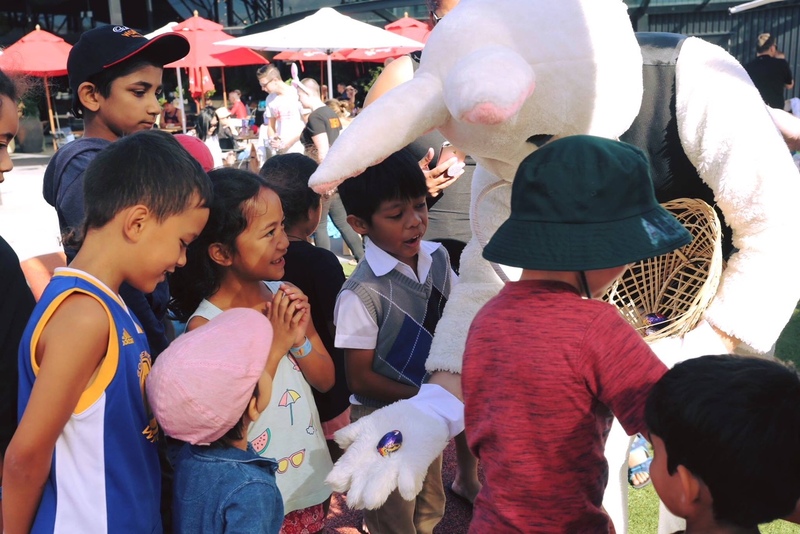 Play in the park and chat to our lovable characters over this school holiday period. If your child loves puppets or just loves creating and crafting - then this workshop is for them. They can come along and work with our puppeteers and crew to make their very own puppet! 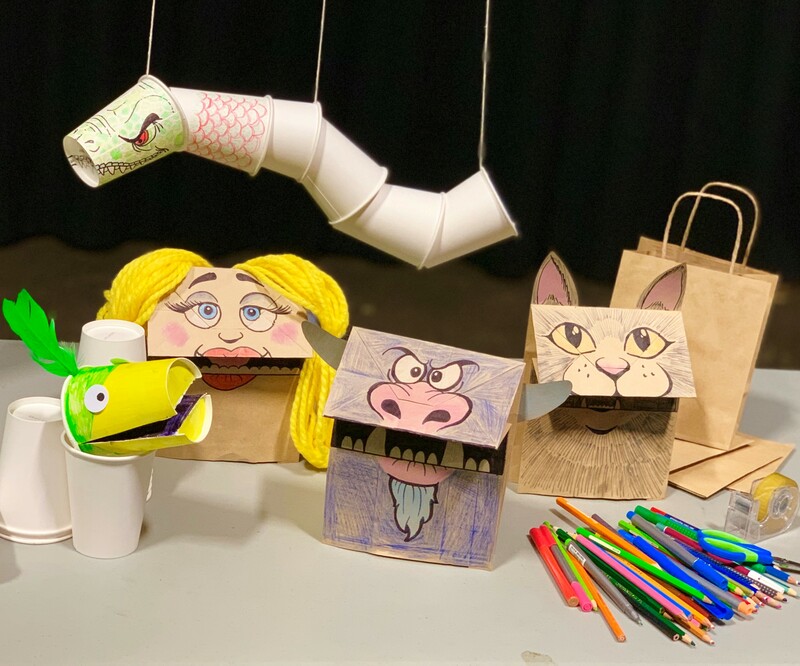 Once they've made their puppet they can practise using their puppet and see it in action on screen with our puppet-to-camera set up!This fun Create & Make workshop is a 1 hour fun session to spark kid's creativity! 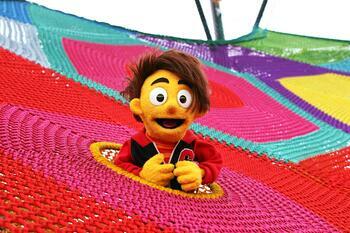 We also invite you to bring your own puppet, or get the chance to try out one of our practice puppets . 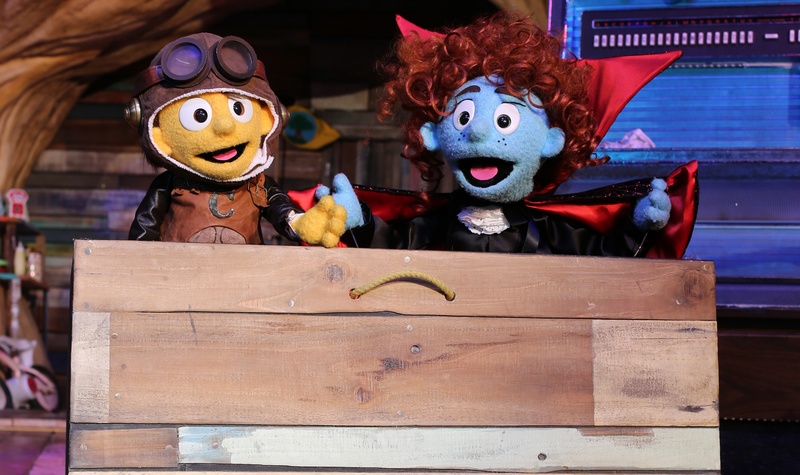 Jon and Paul our puppeteers will show you how to bring your buddy to life! Best suited to ages 5-12. 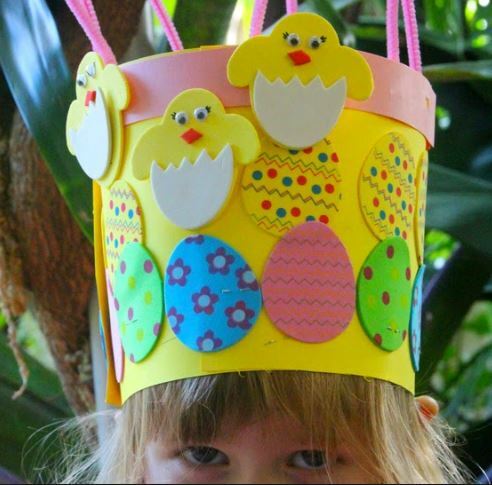 Find your Easter Funk with this fun and crafty hat making workshop. 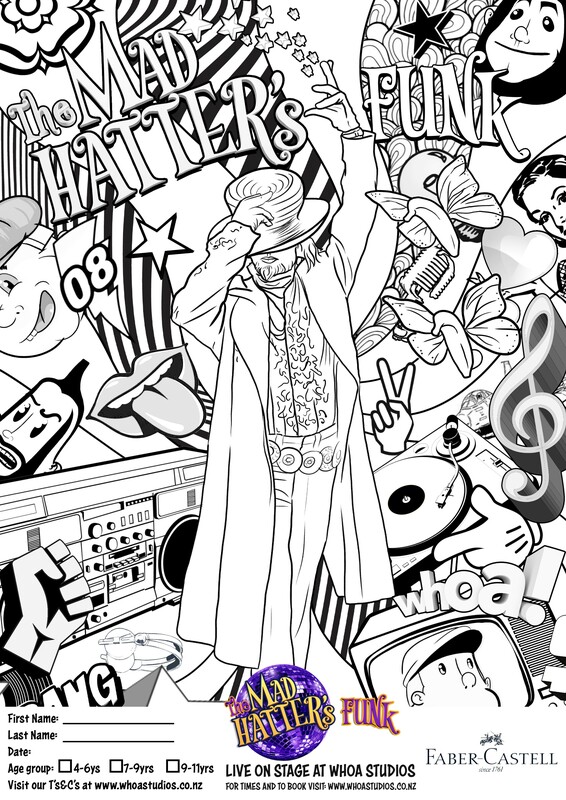 Come along and see the Mad Hatter's funk then stick around to make your very own funky hat! It's amazing how creative kids can get when they have loads of odds and sods of paper, fabrics, felts, glue and colours available to them to craft their own fabulous hat! Come along and join in the fun with our Wonderland characters as we do the Mad Hatter proud! Get a jump on the competition! 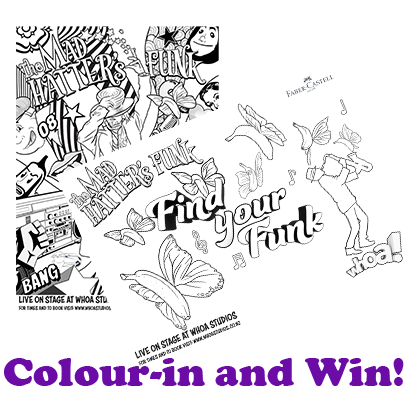 Every day during the holidays we will have available on the red carpet colouring sheets and fantastic quality Faber-Castell pencils, markers for kids to use. 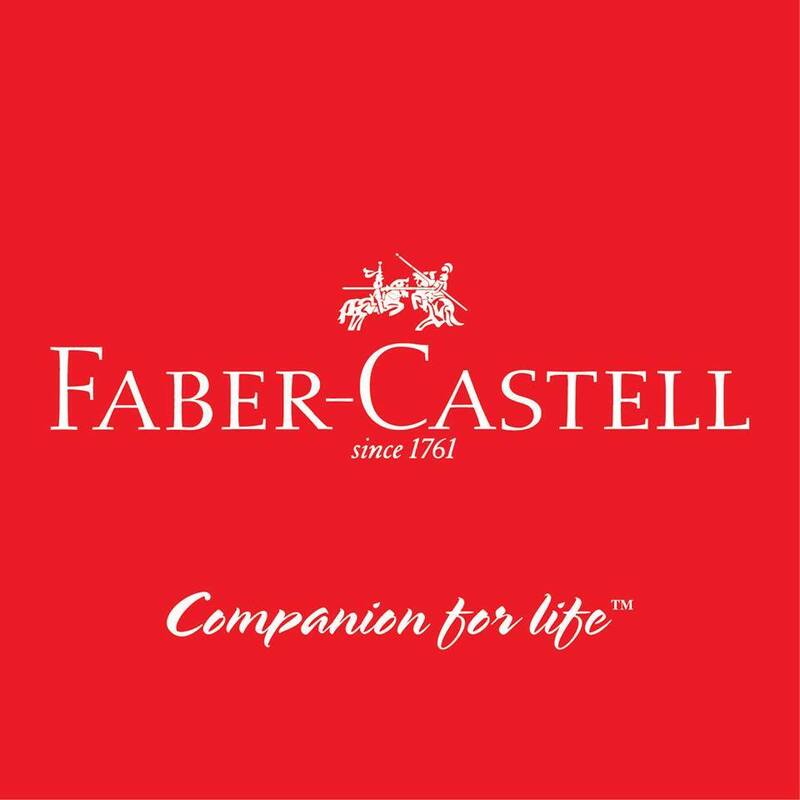 There's loads of Faber-Castell Prizes to be won! Kids from 3-11 are eligible. The kids from Custard's World love to read! They love it sooo much they even act out some of the stories! Come and join some of the loveable characters from Custard's World in the tree house for story book fun from some of their favorite authors, such as Dr Seuss! Who knew that taking your kids out to a family venue during the school holidays could be so delicious! 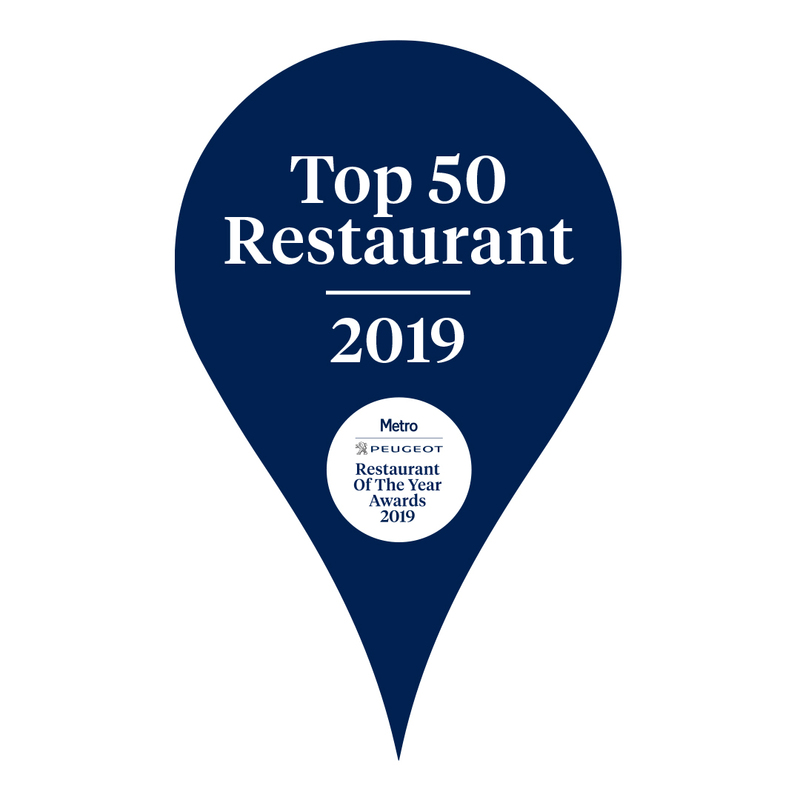 We are so proud of Ben, Mike, Katie and the team at The Grounds for this achievement. They are absolutely committed to providing fresh, healthy, satisfying and delish options for kids and parents alike. No where else on the Top 50 List can you keep an eye on your bundle of energy while they hoon around an epic park, while relaxing with good friends and family. 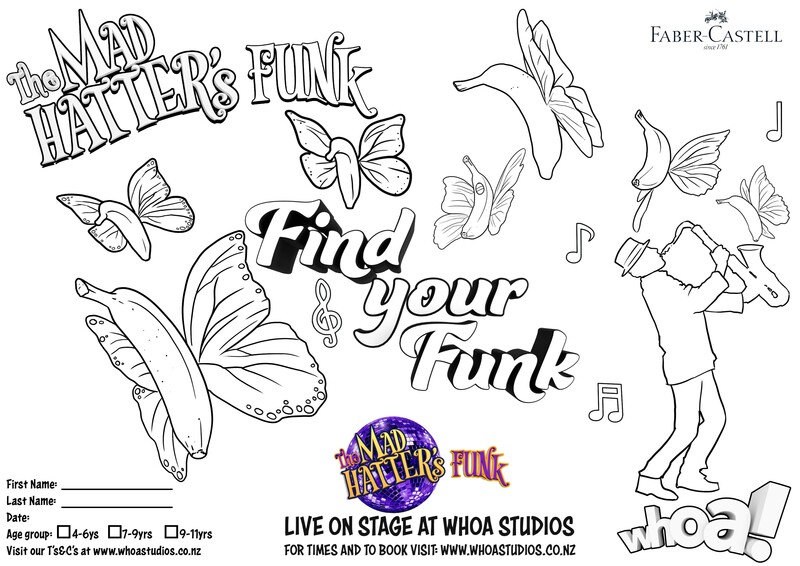 Enjoy a meal before or after the Live on Stage - The Mad Hatter's Funk - show to get free access to the park (incl with show ticket). Or if you prefer to just pop in with friends, we've also reintroduced the popular Eat & Play Combo for kids! Just 19$ for a kid's meal, drink and park access. Come, sit outside and enjoy the sun or shade, or duck into the warmth of The Grounds dining area. Either way you can enjoy delicious food and try out some of the hand picked wine, cocktails or craft beers from our extensive list. You won't be disappointed! Need something a little different? Our chefs at The Grounds cater for all dietary needs. So if you're gathering friends, no need to worry - our menu is adaptable and chef's are experts and giving a little bit of extra attention to detail to ensure everyone leaves thoroughly satisfied. To check opening times for Whoa! Studios and The Grounds Restaurant please check our Hours Page. ©2016 Whoa! Studios Limited. All rights reserved.